Part 1: Preparing final mix levels, deductive EQ, bass enhancement, metering and more. Part 2: Multiband compression, stereo enhancement, limiting and metering for a loud master that competes commercially. Installation: Load Studio Rack as a stereo insert on your stereo output (master bus). Click “Load” + “Open Preset File” from the top left menu in Studio Rack. 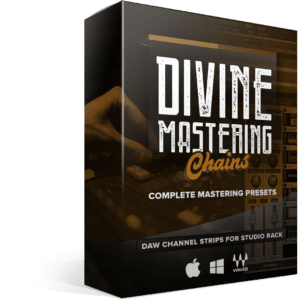 Locate the mastering chain preset file downloaded below. thanks for the info Dude…. Great post!! !